A trip to the mall this weekend reminded me how much I dislike clothes shopping. I mean, I really dislike clothes shopping. Bad lighting, disorganized racks and I am always wearing the wrong underwear. Always. 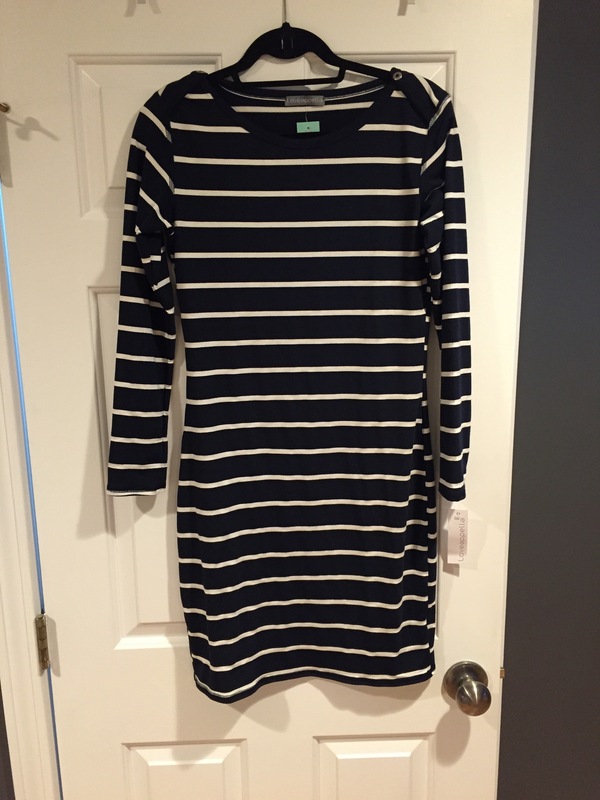 Earlier this year I found StitchFix and it changed everything. For a $20 styling fee they send me 5 pieces of clothes to try on at home. And if I don’t like something I just mail it back, in a pre-paid envelope. What?! Sign me up! I have been really lucky and had the same stylist for the last (*cough*) 16 fixes. I adore Teresa. 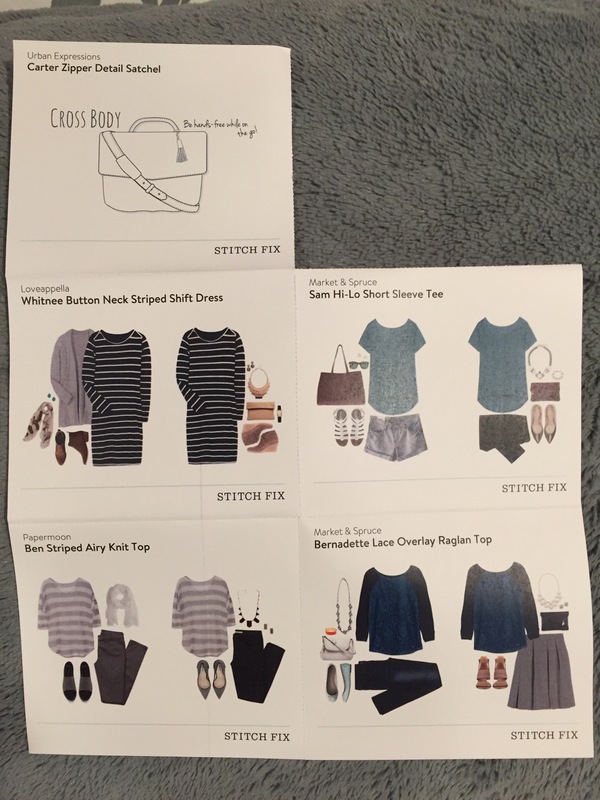 She spends time looking at my Pinterest board to see what I would like in my next fix and always send me a great little note explaining why she chose something or explaining how to style it. So, without further delay, here is what was included in #16. Every one of these items was pinned on my Pinterest. Yay! And here is the style card they include to give you some options on the best way to wear the clothes. Here is the first piece. It was the Urban Expression Carter Zipper Detail Satchel – $68. 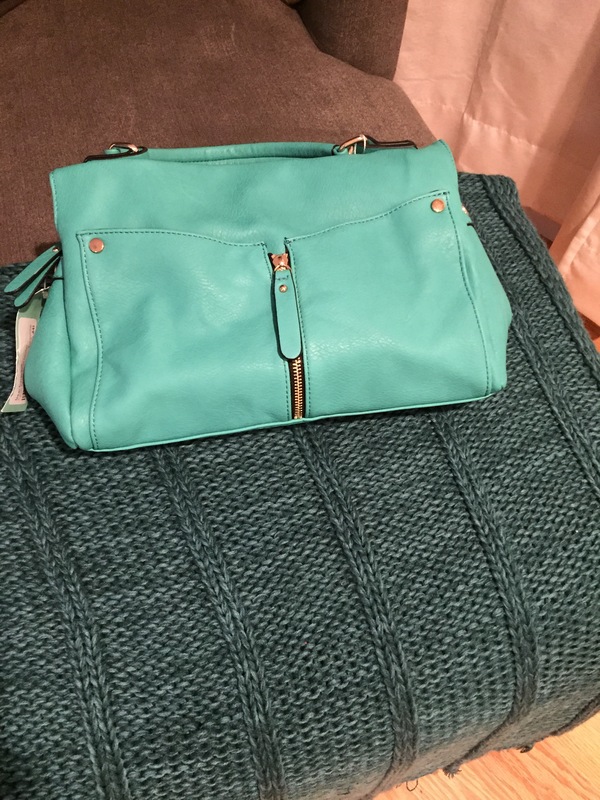 I loved this bag but it was way too close in color to another bag I already own. I should have realized it when I pinned it on my board. The next item was the Loveappella Whitnee Button Neck Striped Shift Dress – $64. I just wasn’t super crazy about this one when I tried it on so I am sending it back. The next item was the Market & Spruce Sam Hi-Lo Short Sleeve Shirt – $44. I had this shirt in grey and loved it so much I asked for it in another color. This one is a keeper! 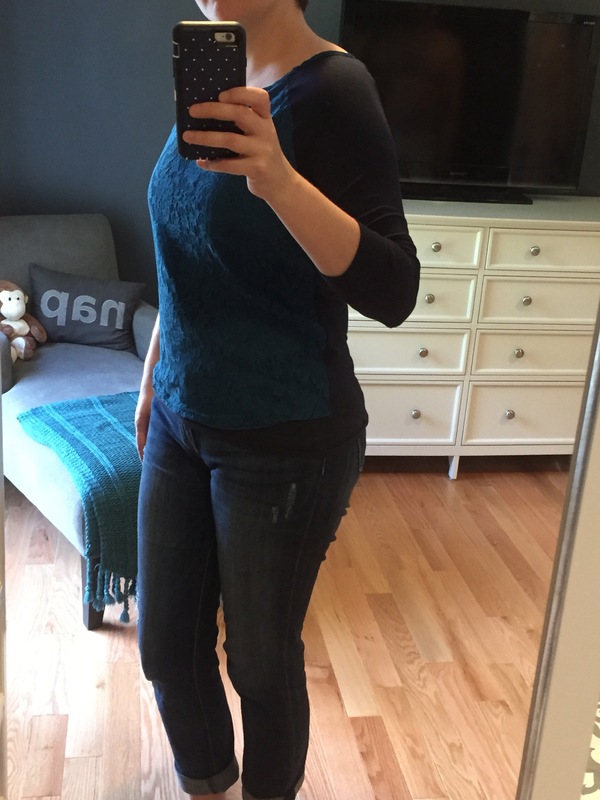 I tried it on with my navy Emers from a previous fix. 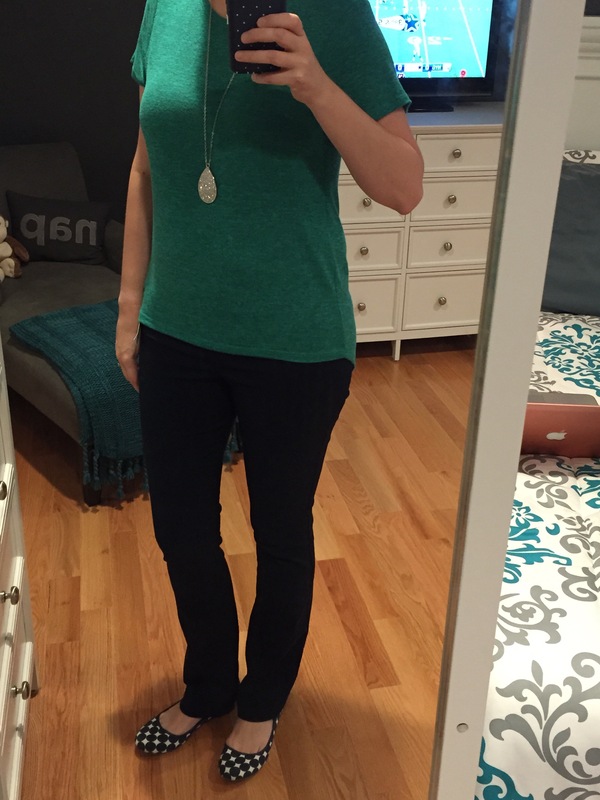 And my favorite flats…aren’t they adorable and oh, so comfortable. Next up is the Papermoon Ben Striped Airy Knit Top – $48. 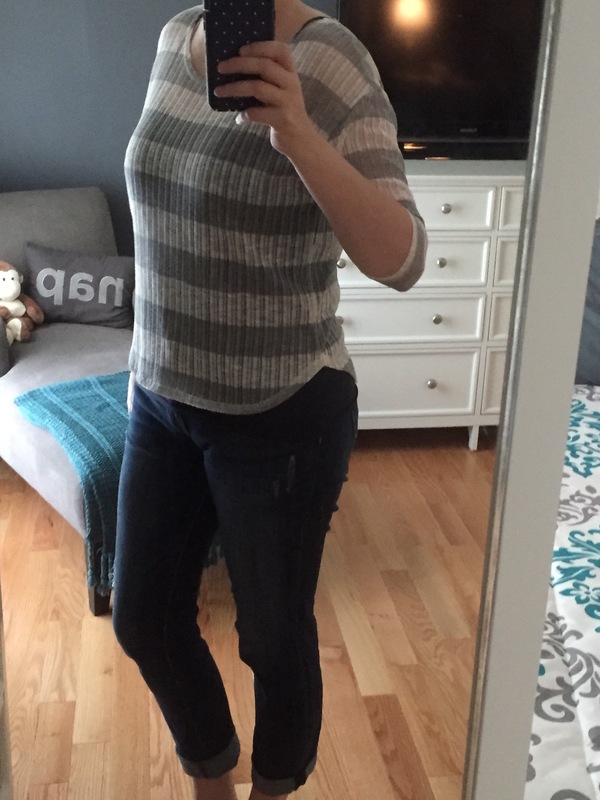 I tried it on with my Kut from the Kloth Catherine Distressed Boyfriend Jeans. 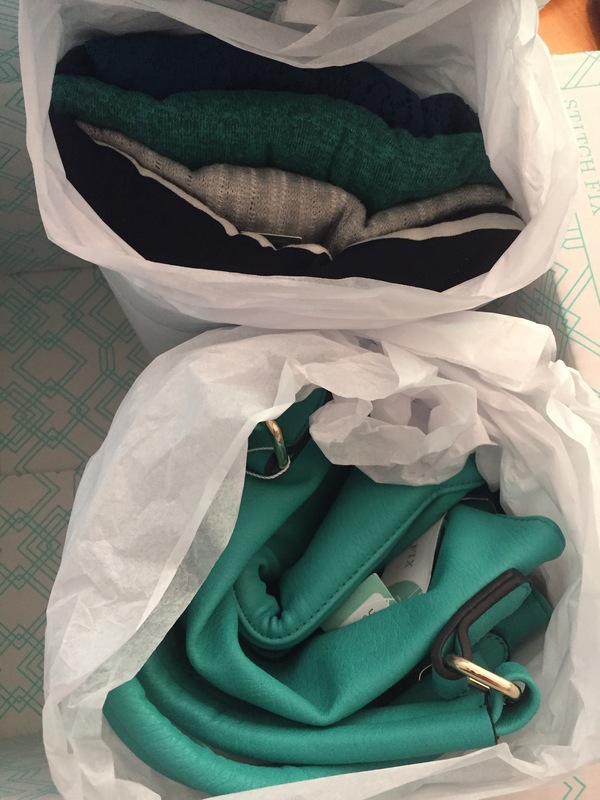 They are one of my favorite StitchFix finds. I really liked this one and went back and forth on it. In the end I decided to send it back. I am trying to get more pieces for fall and this one just didn’t fit the bill. The last piece in this fix was the Market & Spruce Bernadette Lace Overlay Raglan Top – $58. This will be a great top to pair with jeans this fall so I kept this one too. It is hard to see the detail on this one but it is a pretty teal over navy. All in all I was happy with this fix. And I might have already scheduled the next one for the beginning of October!